The VetShopAustralia.com.au Surfing Dog Spectacular is set to get underway on the 11th of March, 2012 as part of the Noosa Festival of Surfing. 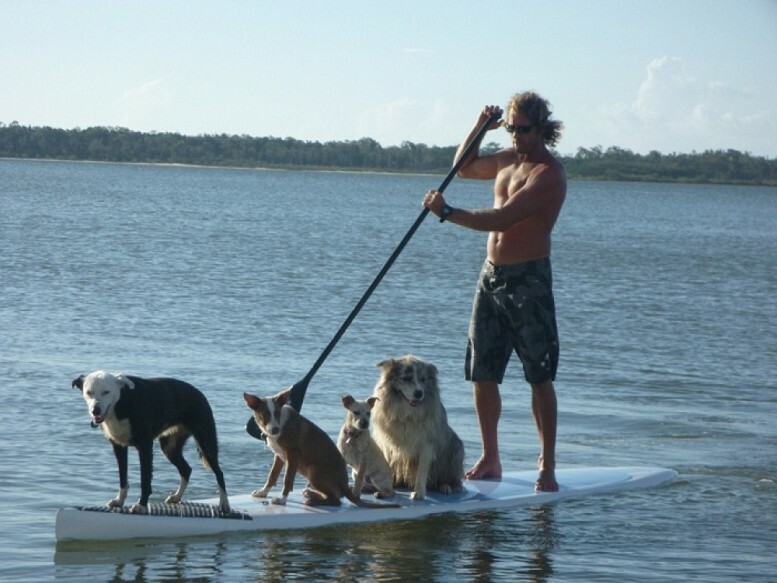 Headlining the surfing dog event will be Chris De Aboitiz who is also a former tandem surfing world champion and professional dog trainer. Chris's surfing background and dog whisperer abilities make him the perfect candidate to take the lead in this year’s event. Chris has a very special working relationship with his pack leader, Lani, who will also be taking centre stage at the VetShopAustralia.com.au Surfing Dog Spectacular. Lani has been surfing with Chris for years and is also his testimony to his natural instinct and love for dogs. His passion for dogs and teaching has seen him launch Natural Balance Dog Training which has helped hundreds of dog owners fix their dogs behavioural problems such as barking, jumping, winging, pulling on the lead, recall, fears or phobias, anxiety, obsessions, to full blown aggression. When it comes to problem dogs, there is no task to hard for Chris to work with. Chris prides himself on the ability to read a dog's body language and to then teach owners how to correct and reward their pet at the right time. Chris also operates a deluxe dog friendly accommodation called Riverview Retreat which is located at Burrum Heads on the Fraser Coast. The getaway allows owners to relax as well as bring their dogs along for some well needed training. Don't miss Chris and Lani showing off their surfing skills at the year's VetShopAustralia.com.au Dog Surfing Spectacular, the event will take place at 4:30pm on Noosa Main Beach and is expected to draw a mixed crowd of dog lovers, surfers and anybody who wants some out of the ordinary entertainment!